We can help you make a big impact with your content. 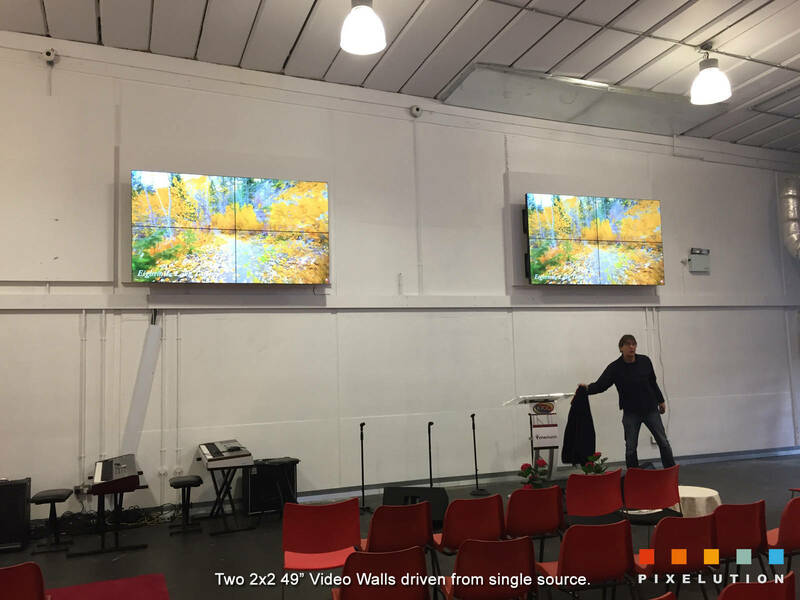 Whether you are looking for two or three continuous screens, or a massive room-sized video wall, we can provide solutions to fit all scenarios and budgets. 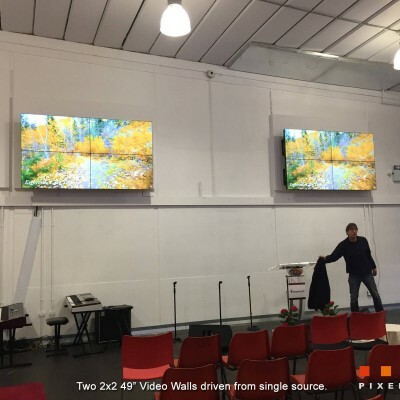 David Williams, Local World – 3×3 46″ Video Wall customer. 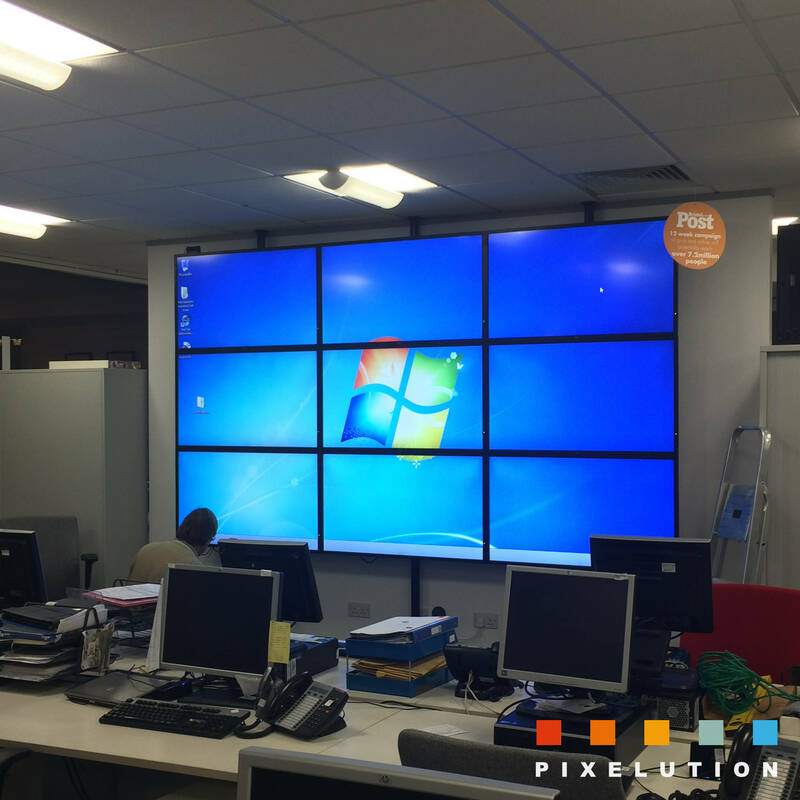 then a video wall is the ideal solution. 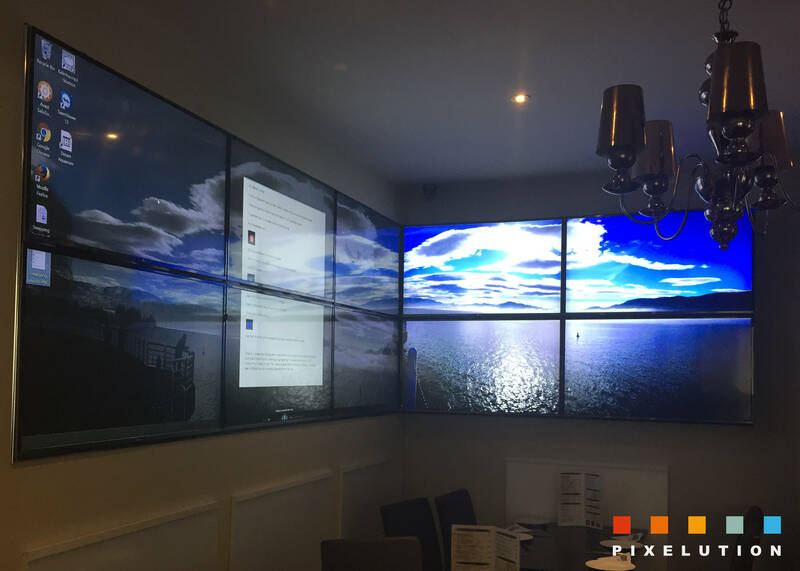 a good video wall will certainly attract attention from customers and staff. 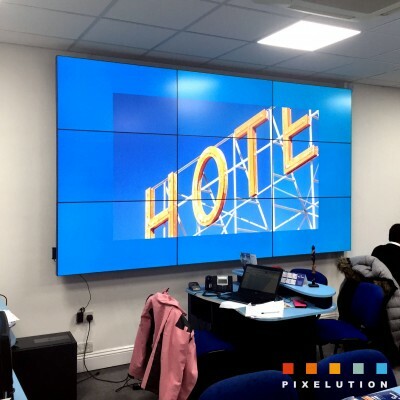 Pixelution carry a portfolio of high quality screens, mounts and accessories to build commercial and professional grade video wall solutions for use as digital signage or control room and information displays. 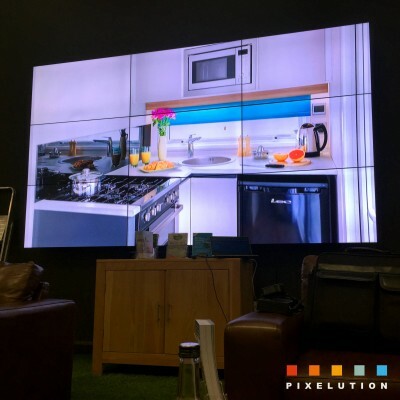 With many years experience and a wide range of hardware options to choose from we have a video wall solution for everyone. 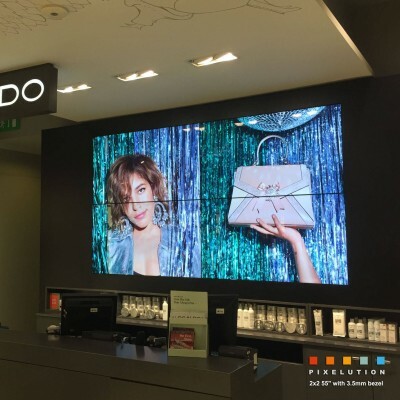 Wall mounted, Ceiling mounted or free standing, ultra-narrow bezel screens for a near seamless image or standard public display screens for the tighter budget. 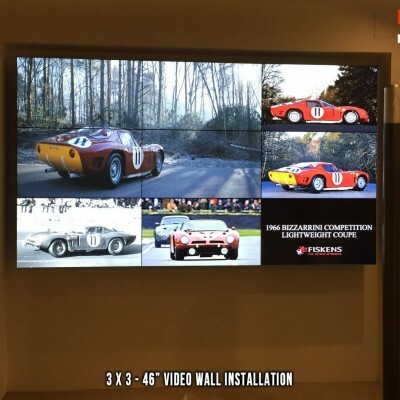 We will create your personal video wall configuration, with installation if required. 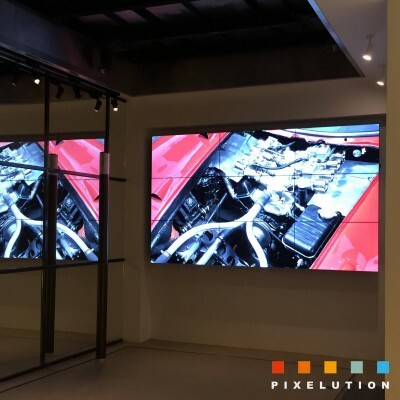 Video walls are a versatile solution for displaying all types of information. 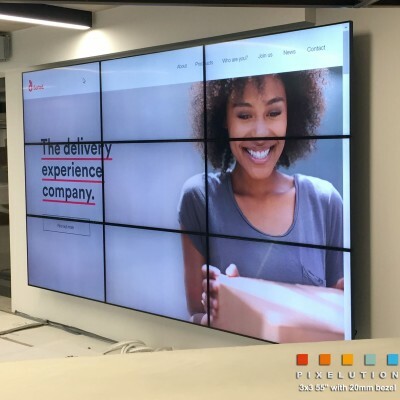 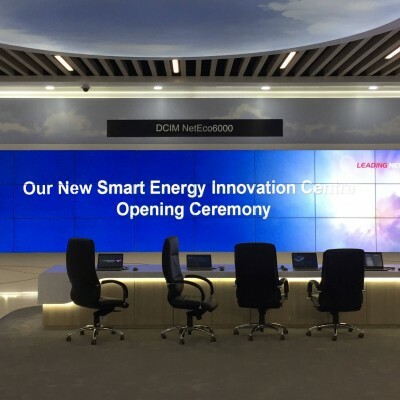 Video walls can be used as a single large display or divided into smaller sections with the option to change configurations at the touch of a button. 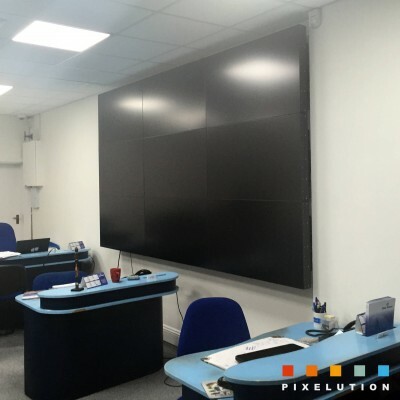 This makes them ideally suited for control room applications where several different feeds maybe required on screen at any one time with the option to fill the wall from a single feed for presentations or other highlight events. 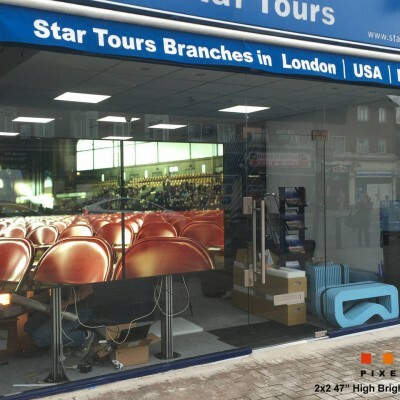 We also carry a range of more specialised video wall screens for high brightness or high resolution solutions. 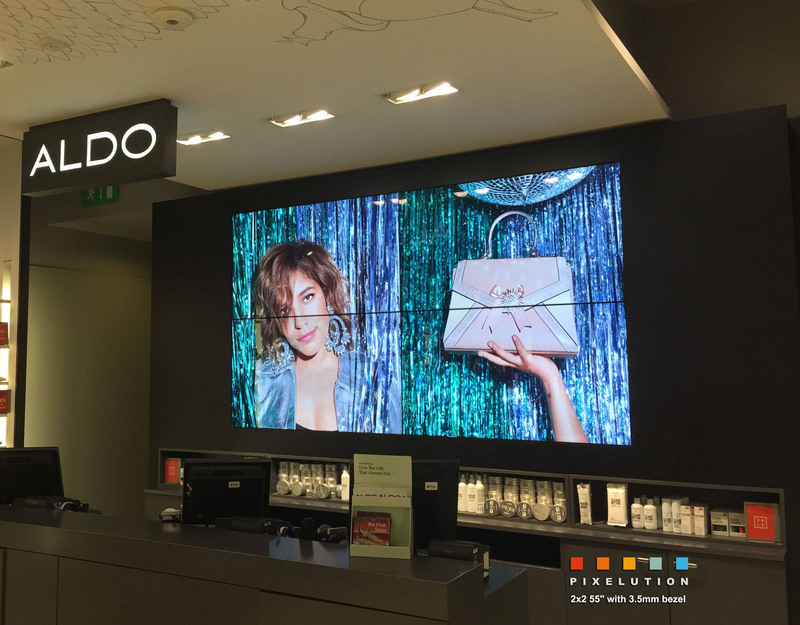 For use in windows or high ambient light areas we have ultra-narrow bezel screens rated at 3,000 nits – approx. 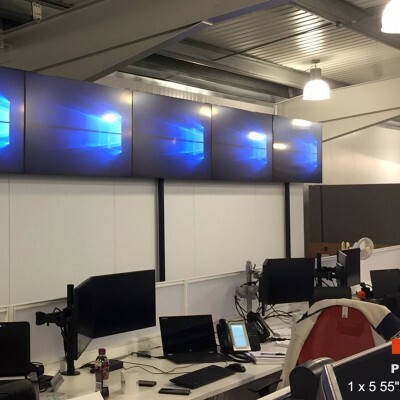 six times brighter than standard video wall screens. 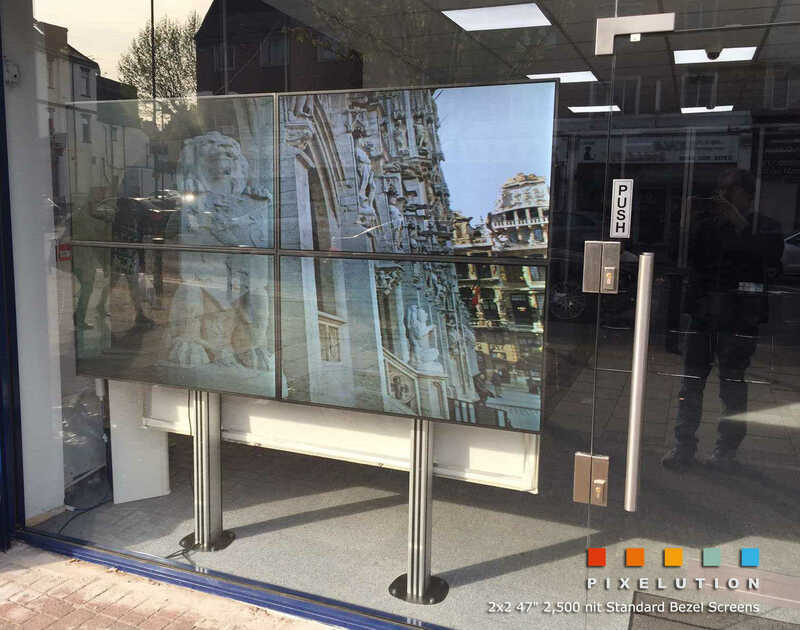 Although designed to be visible in direct sunlight the extra brightness also ensures the most eye catching imagery in any installation. 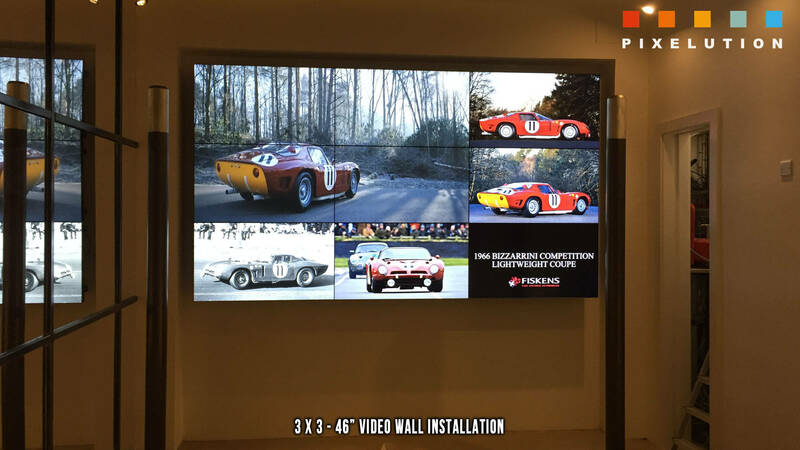 Martin , Stopfordian – 3×3 55″ Video Wall customer. If you need more pixels then we can drive each screen in the video wall at its native resolution. 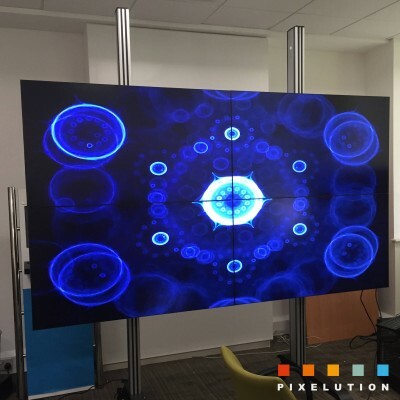 A 3x3 video wall will then have a desktop resolution of have 5,760 x 3,240 pixels - greater than UHD or 4K. Any size video wall can be driven in this way to give you an ultra high resolution display. 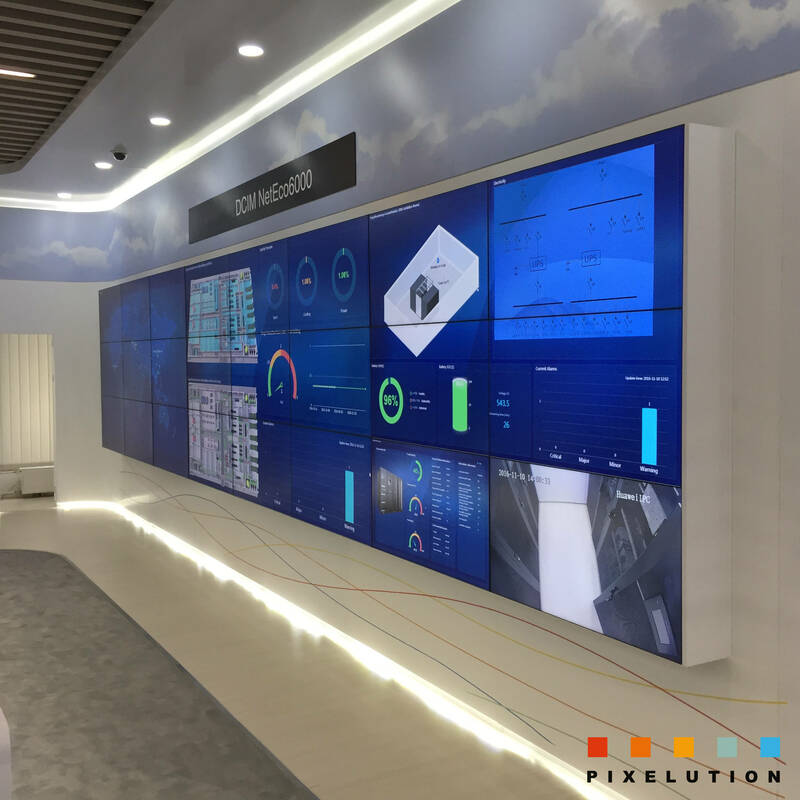 This level of detail is an excellent solution for control rooms which require large amounts of information on screen at one time. 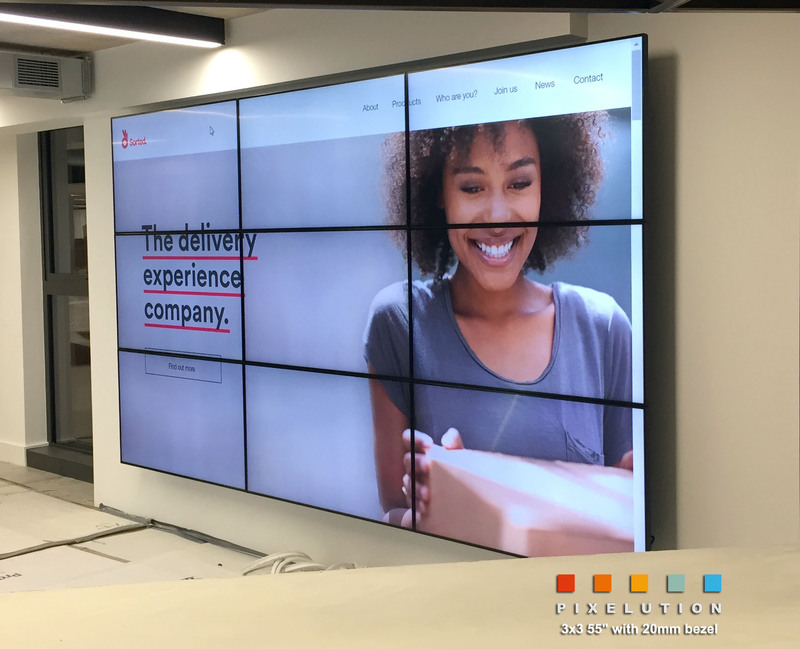 Andy Seaton , Reward Gateway – 3×3 55″ Video Wall customer. If you don't need a seamless image, high brightness or resolution, but are looking to fill a wall with screens then we can also build standard displays into a video wall array. If you are displaying statistical data, schedules or other text based information then the increased bezel width is not such an issue and the content can be designed around the grid to ensure visibility. 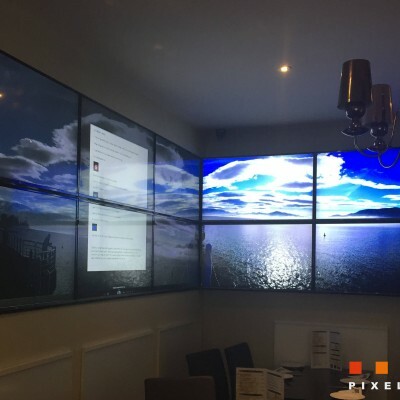 This type of solution has its limitations but does still provide a large and impressive display. 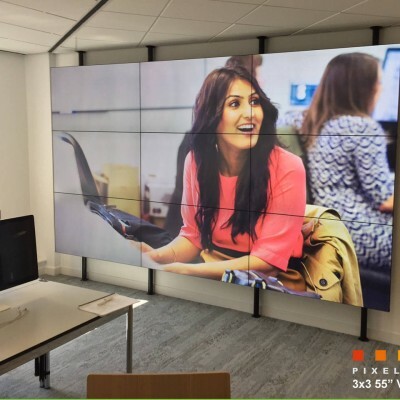 Want to talk video walls? 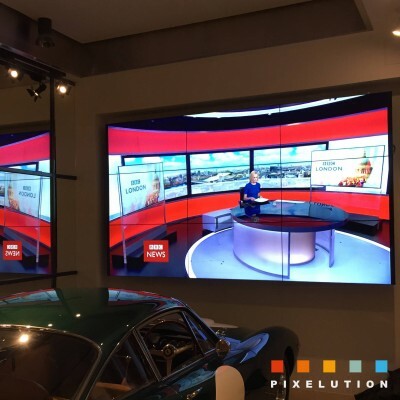 about what you want to achieve with your video wall. 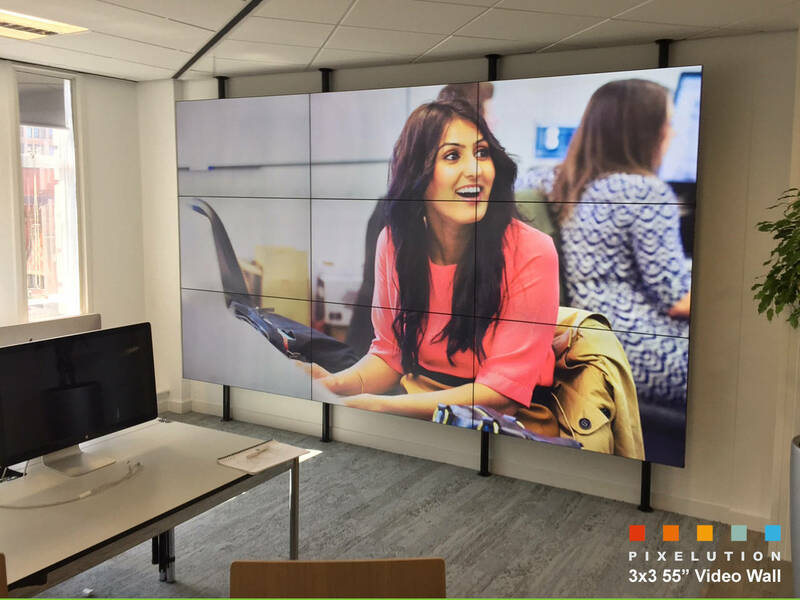 * Area - Video walls are made from multiple screens so the size increases in steps and matching your size is not always possible. Let us know which dimension is the most important to your installation - for example if you have a specific ceiling height, or need to fit between two pillars. 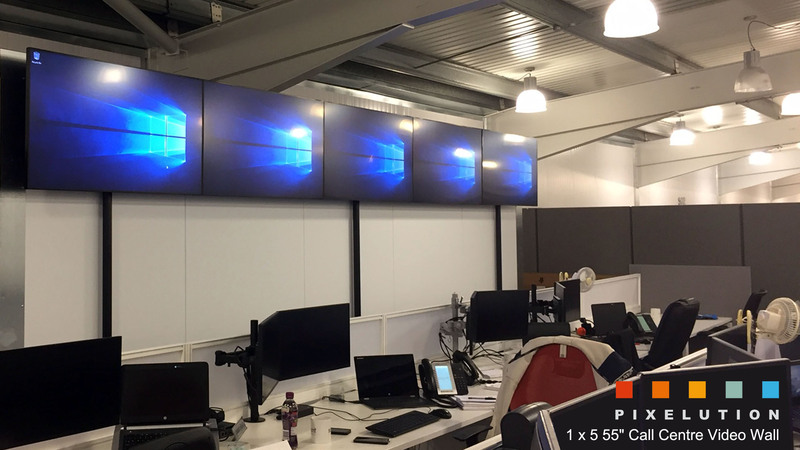 ** Maintain 16:9 aspect - If you opt for a video wall that is not in the 16:9 ratio of a standard screen your content may appear stretched if not created specifically for the aspect ratio of the video wall. We are happy to explain the options for non-standard content with your quote. 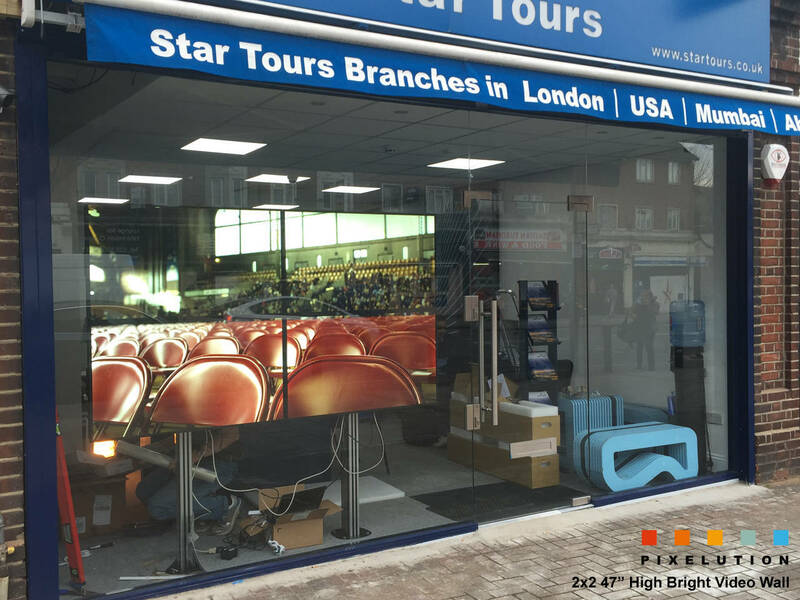 Address: Office 5, Business Centre West, Avenue One, Letchworth Garden City, SG6 2HB, UK.